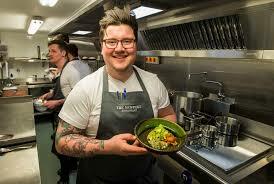 MasterChef Pro champion Jamie Scott is opening the doors to his new restaurant on Tuesday 1st March. 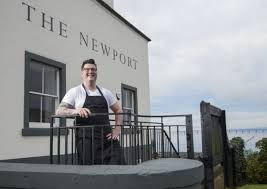 The Newport Restaurant which is situated in the picturesque village of Newport on Tay across the river from Dundee will be serving up clean, flavoursome Scottish food, using the best of local ingredients inspired by the surroundings and Jamie’s knowledge of the area. Supported by his wife Kelly, who will run front of house, Jamie has assembled a strong team of people he has worked with in the past. Originally from Arbroath, Jamie was inspired by his mother and grandmother in the kitchen. His grandmother was a keen baker and his mother more so, as she was the first female sous chef in Britain. After spending six years learning his craft in Arbroath, Jamie moved to St Andrews joining the Rocca restaurant as Head Chef for four years. In 2014, Jamie took part in BBC MasterChef: The Professionals which saw his culinary skills tested to the limit. Demonstrating his creativity and skill, Jamie’s final task consisted of serving a three course meal for judges Marcus Wareing, Monica Galetti and Gregg Wallace. As a result, Jamie was crowned the winner of MasterChef: The Professionals 2014. Jamie has represented Scotland at the Scottish Governments East of Scotland European Consortium summit in Brussels, where he promoted the very best of Scottish larder to the Eurozone. Passionate for local Scottish food and drink and further to touring many of the countries Food Festivals, including the BBC Good Food Show and Foodies Festivals up and down the UK.